Go on an exciting journey in this addictive bubble shooter! 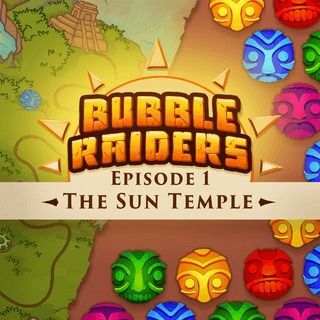 Follow Anna and Eva uncover the secrets of a mysterious map and fight your way through the jungle to the Sun Temple. Match 3 or more bubbles of the same color to make them disappear and protect yourself against ancient guardian bubbles. Unlock specials, gather keys and try to to score as many points as possible! Bubble Raiders - Find Bubble Raiders in our vast HTML5 games catalogue. Only the best and newest HTML5 games for all audiences. Guaranteed success with Famobi.